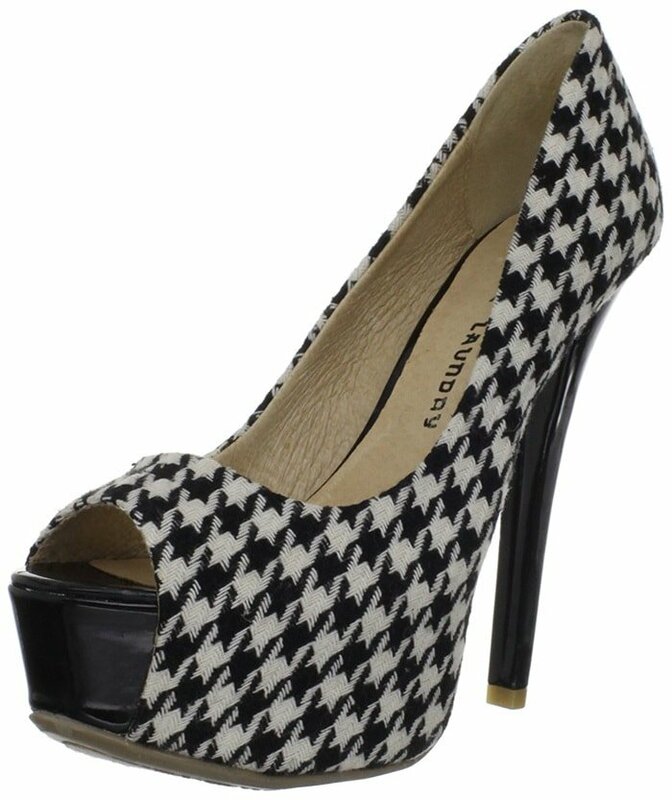 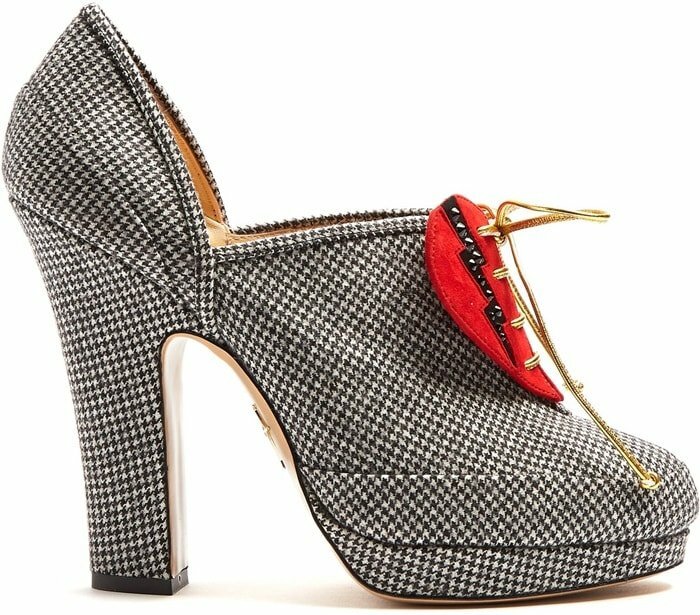 Houndstooth shoes feature a duotone textile pattern characterized by broken checks or abstract four-pointed shapes, often in black and white, although other colors are used. 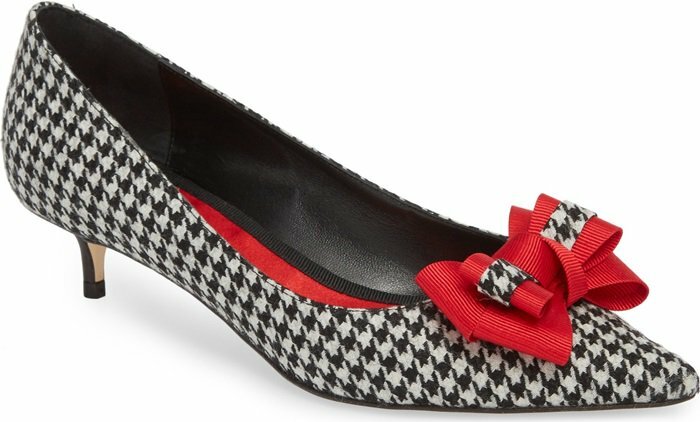 The following are our 5 favorite houndstooth flats and heels for women. 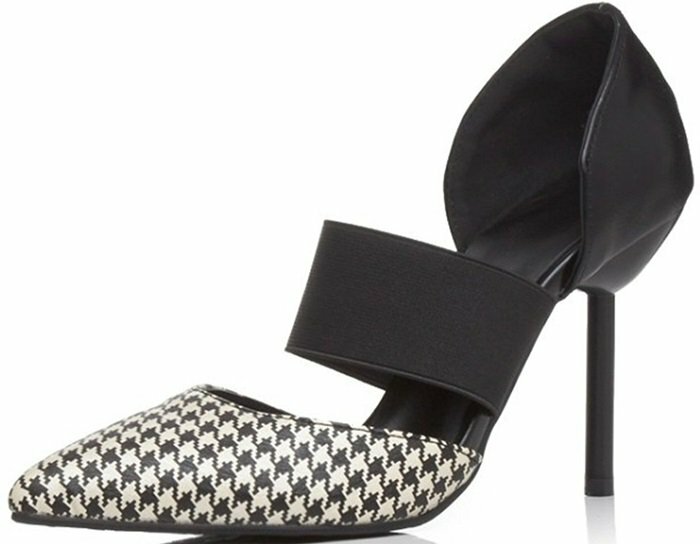 Further down the page you’ll also find celebrities wearing designer shoes with this popular pattern!